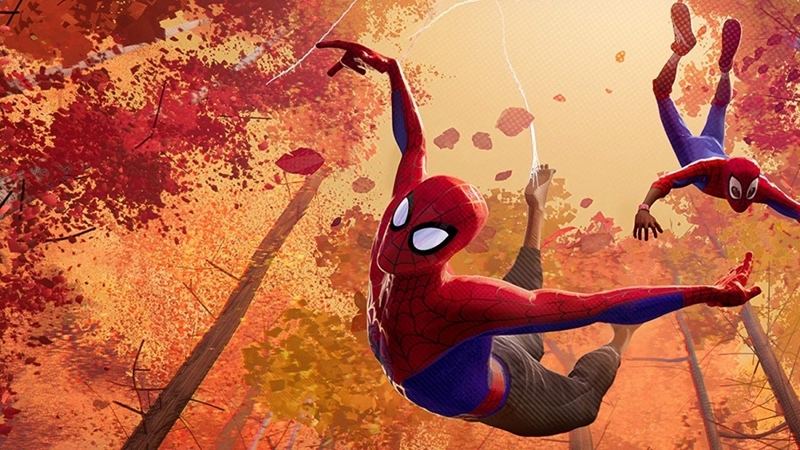 AVENGERS: INFINITY WAR and BLACK PANTHER may have gotten all the ink this year when it comes to Marvel comic book adaptations, but the new SPIDER-MAN: INTO THE SPIDER-VERSE is worth just as much discussion. It’s a superior animated feature that has appeal for both adults and kids, and it should give ISLE OF DOGS, INCREDIBLES 2, and RALPH BREAKS THE INTERNET a run for its money come Oscar time in the Best Animated Feature category. It also is the best Spider-Man film since he battled with Doc Ock back in 2004. It’s that good. A lot has been made out of the film’s gorgeous mix of 2D and 3D filming technique, and indeed, it doesn’t look like any animated film you’ve seen before. It blends the style of comic books, Pixar-style 3D, Disney-style 2D, and the noir animated Batman films that mostly launch on iTunes these days. At times, the film even incorporates a dayglow look similar to that of Ralph Bakshi’s work from the 1970s. (It also echoes that filmmaker’s penchant for presenting the inner-city landscape as both exhilarating and terrifying.) That’s a lot of styles all rolled into one movie, but the mix works spectacularly well, demanding to be seen in a 3D presentation to fully appreciate all that’s going on in the frame. Yet, even with all that visual dazzle, it’s the story that, ahem, sticks to the wall. 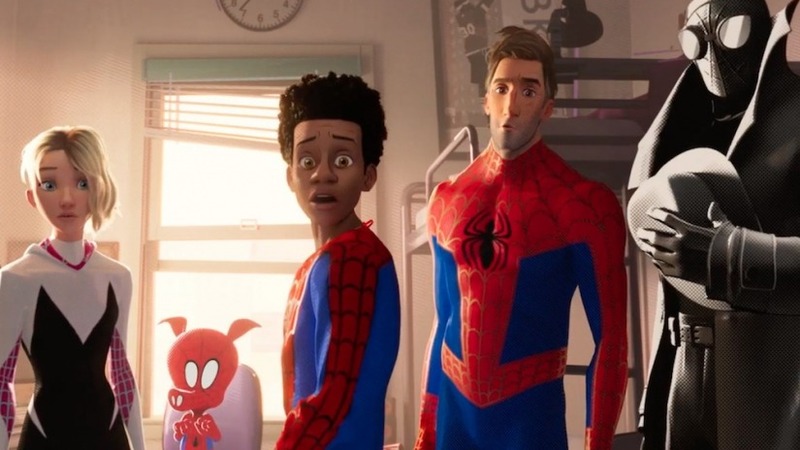 Based on the Marvel comic “Miles Morales” written by Brian Michael Bendis and drawn by Sarah Pichelli, it tells of how Miles (voiced by Shameik Moore), a high school teen of mixed racial background, is bitten by a radioactive spider himself and becomes a sort of “Spider-Man 2.0.” Miles ends up both helping and hindering Peter Parker (Jake Johnson), the original superhero who’s well into his 20’s here, as they both fight the villainous Wilson Fisk (Liev Schreiber) causing chaos once again in the Big Apple. It’s great to see a younger and naïve Spidey interact with an older and now wiser one. It’s both funny and dramatic, plumbing the depths of both characters and their conflicts within their worlds and with each other. Miles’s home life isn’t much sounder than Peter’s was back in the day. Miles doesn’t get along very well with his cop father (Brian Tyree Henry) and is at that age where he doesn’t want much mothering, even though his mom (Luna Lauren Velez) is kind and generous. Miles stumbles upon Spider-man in the midst of a battle with Fisk, AKA the Kingpin, and seems to help get his idol killed. That plot point sets up Miles to get bit himself by a radioactive spider and start to try and fill the superhero’s red shoes. As the young man discovers his new powers with an awkwardness similar to accepting the changes that come with puberty, Miles is one hot mess. And as he goes through all the ruminations of becoming a functioning friendly neighborhood Spider-man, the film turns into a spoof on itself. It’s not just his origins story, it’s a hip, self-conscious vamp on all the various tropes and clichés that are ridiculously familiar to anyone with even a passing awareness of the franchise. 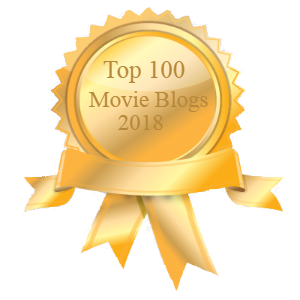 The blending of animation styles gives the film a hellzapoppin’ look that never fails to impress, although the juxtaposition of satire butted right up against pathos isn’t quite as successful. The drama starts to take a back seat in favor of all the navel-gazing hilarity, but at least the movie never fails to entertain. 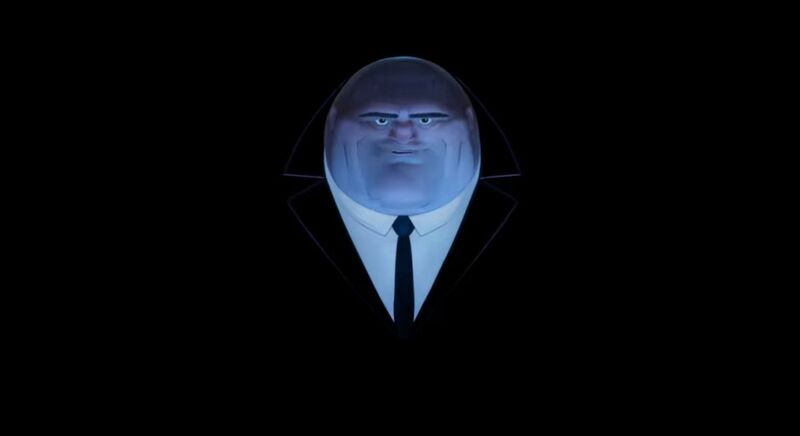 Soon, various other Spidey’s are joining in Miles’ fight against Fisk, including the original who didn’t perish. Amongst the multiple webbed crime fighters helping Miles get in touch with his tingling senses are love interest Gwen Stacey (Hailee Steinfeld) who moonlights as “Spider-Girl”, the Sam Spade-ish parody “Spider Noir” (voiced by a droll Nicolas Cage), and “Spider-Ham” (John Mulaney), the Porky Pig version whose alter ego is named Peter Porker. They reference Spiderman comics that have gone before, and there may be enough laughs in this superhero outing to give both Robert Downey, Jr. and Paul Rudd pause. Each of the other Spidey’s is rendered in style from their graphic sources, so it adds even more shadings to the already varied visual ones in every scene. Ultimately, the film careens towards a climax that is exciting, hilarious, and fulfilling, even if it takes almost two hours to get there. (Some of the younger children at my screening were tittering on edge having to sit that long in their seats.) No matter, the film is incredibly exciting, creating a gorgeous and dramatic physical world that can do more than the CGI in the live action movies. It would behoove others adapting comics to the big screen to realize that animation offers all kinds of advantages. Who knows, maybe even the Fantastic Four could be a hit in this format.